The past few years, ugly Christmas sweaters have been a huge trend amongst people of all ages. There is even a holiday devoted to the trend: National Ugly Christmas Sweater Day. It is celebrated every year on the third Friday of December. The holiday was set into place in 2014 to raise awareness for the “Make the World Better with a Sweater” Campaign. It was initiated by the Save the Children organization. By wearing a sweater, you can raise awareness for people to donate to this organization. Save the Children help collect money in order to get children out of poverty and provide them with education. 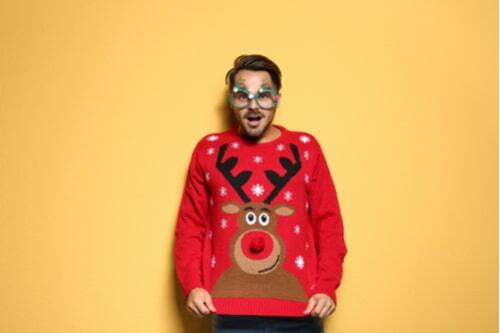 So… you may be thinking, “How can I celebrate National Ugly Christmas Sweater Day?” Many people even decide to throw ugly Christmas sweater parties - you can plan a party of you own! By planning a party, you can even get people out for the cause and collect donations at the party for the “Make the World Better with a Sweater” campaign. 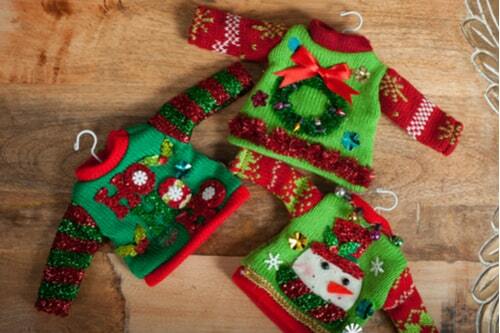 Here are 5 steps in planning the perfect ugly sweater party without breaking the bank. Invitations make or break the event. It is the main way to entice your friends and family to show up. You can make your invitations a few different ways. You can choose to make them on the internet on websites like Shutterfly. There are also websites for e-invitations that can be sent through email. If you are on a budget, and do not want to spend extra money on this part of the party, you can also just make your own. Be sure to include your name, the location, the time, and date. Oh, and don’t forget to tell them to bring their ugly sweaters, of course! This is also a main component of your party. Decorations set the tone of the event. Once again, you can make these on your own. There are many DIY Christmas decorations that do not require much creativity. You can go on YouTube to find step by step videos for your decor. If you do not have the time to create your own, you can always go to a discount store to buy decorations. There are many stores with cheap decor for your event like Hobby Lobby, Target, The Dollar Store, or even local craft shops in your area. Hey, you’re the one throwing the party... right? Your sweater needs to be amazing. So, go crazy! You can make your own with an existing sweater. This is quite simple. Hang some ornaments from your sweater, dangle garland, put a bow on your head. 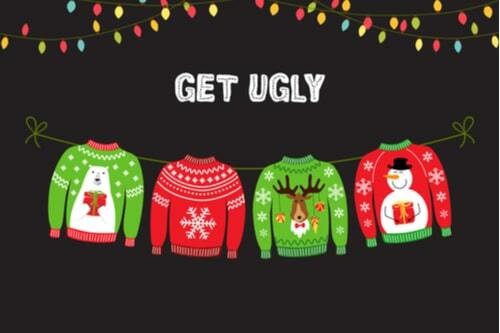 Make yourself look as “ugly” and as festive as possible. Don’t have any Christmas items to put on your sweater? No worries. Walmart has a huge selection of ugly Christmas sweaters for a bargain. You can snag a great holiday sweater for under $15.00. If throwing this party is important to you, but you do not have the money to do it how you would like, you have another option. You can take out a small loan to help throw together the perfect party. A car title loan is one of many that you can look into. This loan can also be useful for your donation to the Save the Children organization as well as for your Christmas shopping this year.